It is with great sadness that we share the news that Ralph Wills died on Monday, December 18, 2017. Chantilly Youth Association reports that he died peacefully with his family by his side, and for that I am grateful. Ralph was one of those guys who just did what needed to be done and did it with a smile and a handshake. All of us will miss him, but the people he touched; the countless kids will really feel the loss. To the Fairfax County Park Authority Ralph was much more than President of the Chantilly Youth Association, a post he held since 1998. He was an effective member of the Green Team advocacy group that supported our park bonds and an active participant on the Athletic Council. For me, and other members of the Park Authority Board, it was much more personal. He was the type of person that left you wondering how you could be a better person; just like him. He was gregarious yet humble. He was direct but always kind. And he was a community leader in the old sense of the word, when individuals made a world of difference in very ordinary ways. Not that there was anything ordinary about Ralph. On November 7, 2015 the Park Authority named a field after him at Sully Highlands Park. It was the least we could do and it was a well-deserved honor. Rectangular Field #1 at Sully Highlands Park honored his many accomplishments as a community leader and youth sports advocate. He was active with the Chantilly Youth Association (CYA) since 1984. He served as president of CYA for decades, representing the interests of 13,000 players. Over the years, he coached youth and adult soccer and softball teams, as well as playing soccer, softball, baseball and volleyball. He worked with 56 teams during his service as Boys under 16 Commissioner for the Suburban Friendship League, also served as Senior Soccer Coordinator for CYA and as Soccer Coordinator. Ralph had lots of titles, and lots of years on the field. He attended countless meetings of all types in order to get better facilities for kids, and athletes of all types. He was hands on and personally put out “Parks Yes” bond signs or pushed a single button, sending emails to thousands of families in support of Park Bonds. He advocated in front of elected officials for more money for parks. He believed in partnerships and friendships. I understand that the Ralph Wills Memorial Fund will provide a means by which we can further ensure that his memory – particularly his love for kids and his commitment to making sports a part of their lives –is remembered. For details about the fund and for information about services, visit the CYA website at http://www.chantillyyouth.org/home/938779.html. I know that the world is much better place because of Ralph Wills. He was effective and tenacious. In the words of the legendary Babe Ruth, “It’s hard to beat a person who never gives up.” Rest well Ralph. 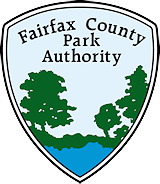 This entry was posted in Uncategorized on December 20, 2017 by Fairfax County Park Authority.